It has been a day since Windows 10 Preview for phone was released for many devices after a wait and you've probably realized that it is far from being finished. While you had fun checking out the Preview, you want to go back to a more stable build. If you want to roll back to Windows Phone 8.1, Microsoft has made it really simple. You'll need a computer, your phone, a USB cable, and the Windows Phone Recovery Tool. make sure that your computer and phone are charged. Are you ready? Continue reading for the next steps. 1.Download and install the Windows Phone Recovery Tool to your computer. 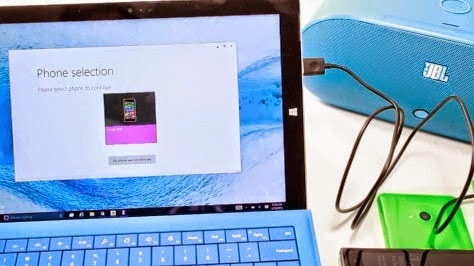 2.Open the Windows Phone Recovery Tool and connect the phone to your computer with the USB cable. If your phone is not automatically detected, disconnect it from your computer and press 'My phone was not detected' at the bottom and follow the instructions on the screen. 3.If the phone is detected, tap the phone model on the screen to continue. 5.There's a disclaimer that suggests to backup your phone. Tap continue at the bottom. 6.The recovery tool downloads and installs the firmware. This may take a while depending on your network connection. The installation files are about 1.7 GB. Make sure not to disconnect the cable. 7.If all goes well, you get a message that says, "Operation successfully completed." That's it! You should now be back on Windows Phone 8.1. We'll let you know if a new build for Windows 10 Preview for phone shows up.